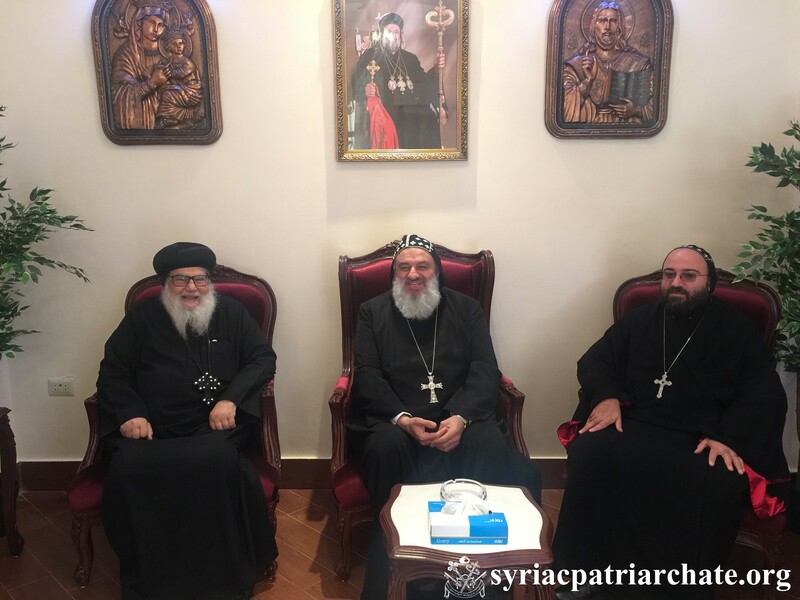 On January 30, 2019, His Holiness Patriarch Mor Ignatius Aphrem II received His Eminence Anba Moussa, Coptic Orthodox Bishop of Youth, at the Diocesan Headquarters in Cairo, Egypt. His Eminence welcomed His Holiness in Egypt. They spoke together about youth ministry. The meeting was attended by His Eminence Mor Timotheos Matta Al-Khoury, Patriarchal Vicar in the Patriarchal Archdiocese of Damascus, and in Egypt, as well as Very Rev. Raban Joseph Bali, Patriarchal Secretary and Media Office Director, and Very Rev. Raban Philippos Issa, Parish Priest in Egypt.